On Dec. 3, King County Metro launched their new pilot program in partnership with the carpooling apps Waze Carpool and Scoop. The partnership will help commuters find carpooling partners and provide more mobility options to area workers. Courtesy of King County Metro. On Dec. 3, King County Metro launched its new pilot program in partnership with the carpooling apps Waze Carpool and Scoop. The partnership will help commuters find carpooling partners and provide more mobility options to area workers. For a limited time, participants can earn discounts and incentives through the participating apps. 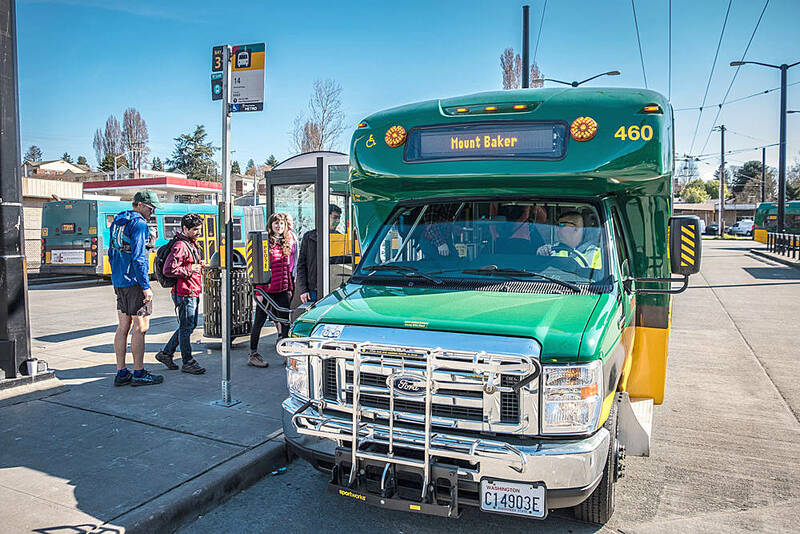 “This exciting new program is one of the many ways that Metro is working in partnership to introduce mobility solutions to help customers get where they need to go,” said King County Metro sssistant general manager Chris O’Claire in a statement. O’Claire said sharing a ride will help customers move more easily through the region. By teaming up with the carpool apps, King County Metro hopes to make riders’ connections easier so they can leave their cars at home. Traveling with other commuters in the same area saves time and money on commuting costs, and it’s made easier through available apps. With the pilot program, commuters can choose to be passengers and join a carpool trip at a discount rate, or be a driver and offer a ride to earn incentives. Commuters heading to or from Seattle will now have more travel options with the carpool program. According to King County Metro, depending on the results of the early phases, the county might make adjustments to the program and consider whether to make it a longer term initiative. Whether the program runs long-term or not, the carpool incentives will allow Metro to learn how to better serve commuters in the county. Sadow said Scoop is excited and proud to partner with King County to help provide “an impactful carpooling solution” to improve what can be one of the most challenging parts of the day — commuting. The pilot program will allow King County Metro to learn how to better serve commuters in the county. With many smartphone users, (84 percent of Metro riders had a smartphone in 2015) commuters can easily share a ride and receive carpool incentives. Users can download the app Waze Carpool or Scoop for free. After setting up the app, users enter trip locations and times and get matched with neighbors or coworkers that might be going the same way. The last step is to book a ride. The head of Waze Carpool, Josh Fried, said the company’s goal is to end traffic altogether. “We are excited to partner with forward-thinking King County and work closely together to offer better mobility solutions for everyone,” Fried said. King County Metro programs work to find solutions for people to support better mobility across the region. To find more information on the pilot program and to explore travel options during the SR 99 closure, visit www.kingcounty.gov/metro.